Tired of shaving every day? Wish you never again had to wax? Want to permanently erase unsightly hair? Then you’ve come to the right place. Laser hair removal is the world’s most requested aesthetic treatment and 5th Avenue Medical Clinic proudly offers effective laser hair removal procedures. More and more people desire to have permanent hair reduction. They want a treatment that is effective, fast and comfortable. Confidence might look like a small thing from the outside, but it feels big on the inside. 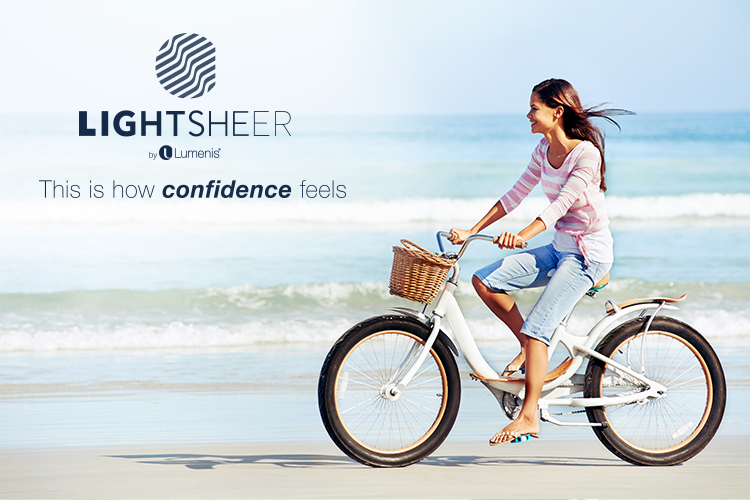 LightSheer® DESIRE™ can help to give you that confidence each day! The Lumenis LightSheer which is a diode laser, is considered ‘the gold standard’ by many practitioners and has excellent results with many different skin types. 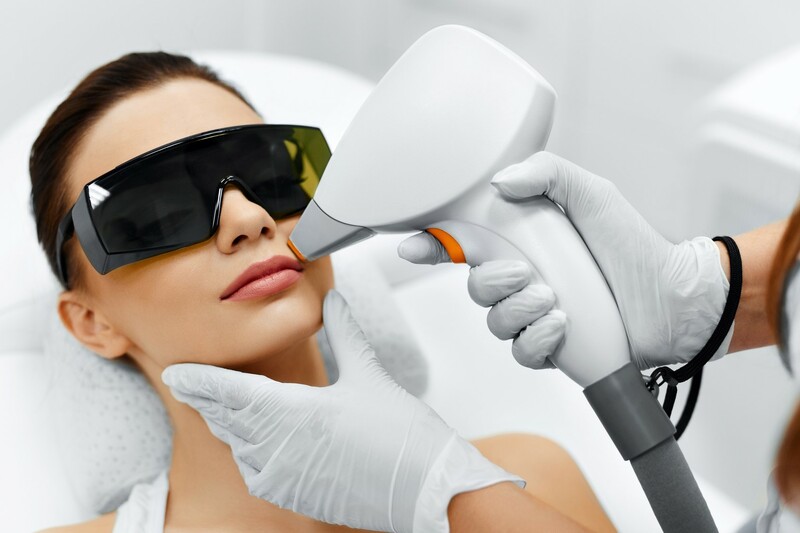 To achieve permanent hair removal, the laser system must be able to effectively treat the different hair types and colours as well as the various skin types while providing maximum skin protection. 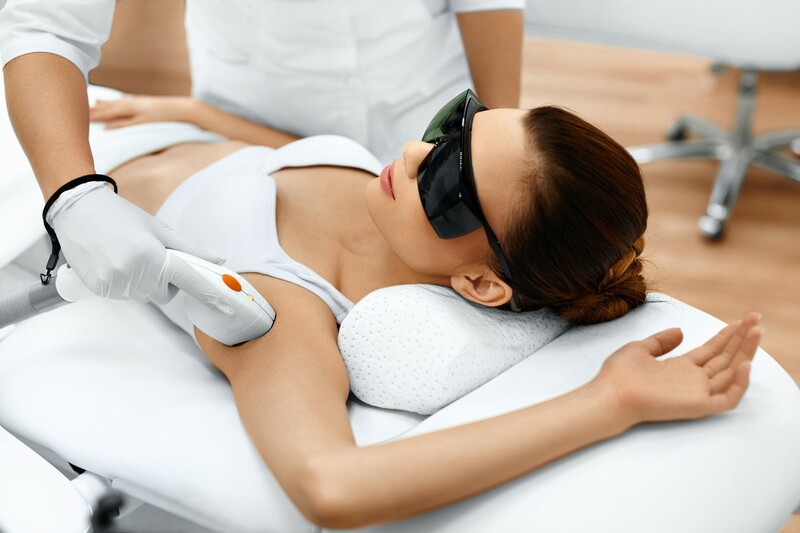 The laser’s wavelength, pulse duration and spot size determine the effectiveness of the treatment (on all skin types) and also influence the depth of penetration and treatment speed. 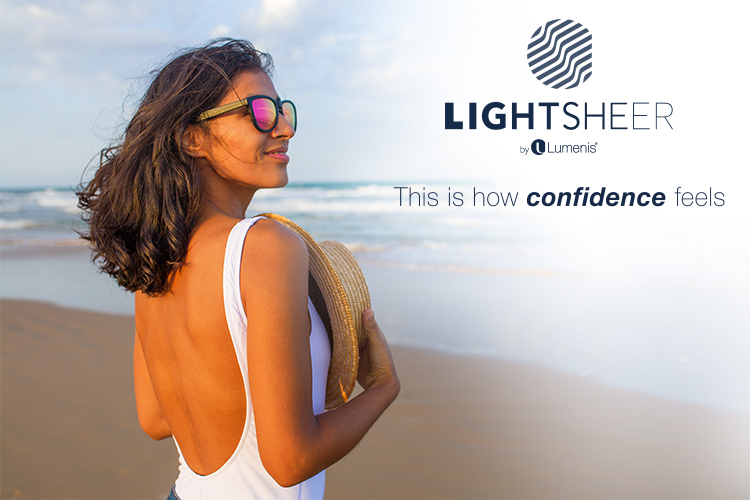 The Lumenis’ LightSheer® DESIRE™ uses 805nm diode laser technology that has become a well-established method for photoepilation. 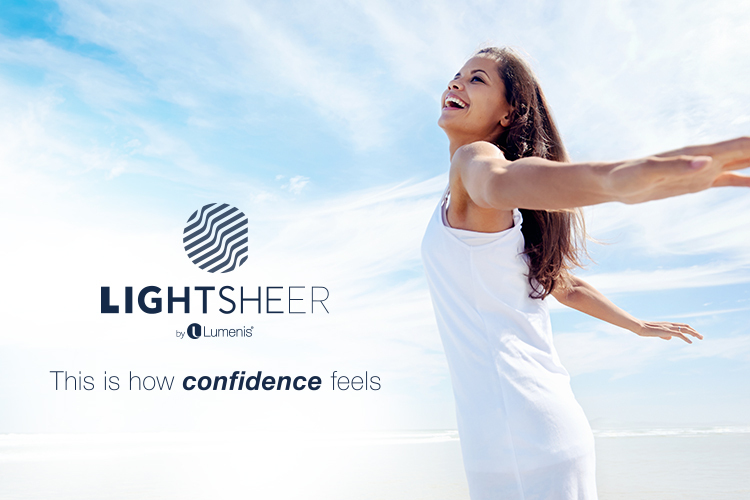 The LightSheer technology by Lumenis has been validated in numerous clinical studies and peer reviewed articles. Our customers benefit from the LightSheer features and enjoy high patient satisfaction. High-Speed Integrated Vacuum Assisted Technology uses a unique vacuum mechanism that activates the skin’s tactile and pressure receptors to inhibit the transmission of pain. ChillTip™ Technology improves patient comfort by cooling the skin prior to treatment and continuously cooling it throughout the treatment. This top-of-the-line laser hair removal machine is FDA approved and gives some of the best results that are possible today although the results may vary depending on hormone level and skin type. Precision – can selectively target dark, coarse hairs while leaving the surrounding skin undamaged. More and more men are starting to take good care of themselves nowadays. Looking good and neat is no longer something that is expected exclusively of women. A whole new world of manscaping has emerged in recent years, redefining the standards of masculine beauty. One of the fastest growing aesthetic procedures today is laser hair removal for men. Men tend to have more hair than women and shaving all these areas can be quite difficult. Add to that the fact that clean, hairless skin is the trend these days, and laser hair removal for men in London has become an increasingly common treatment at 5th Avenue Medical Clinic. The most frequently treated areas are the stomach, chest, shoulders, and back. 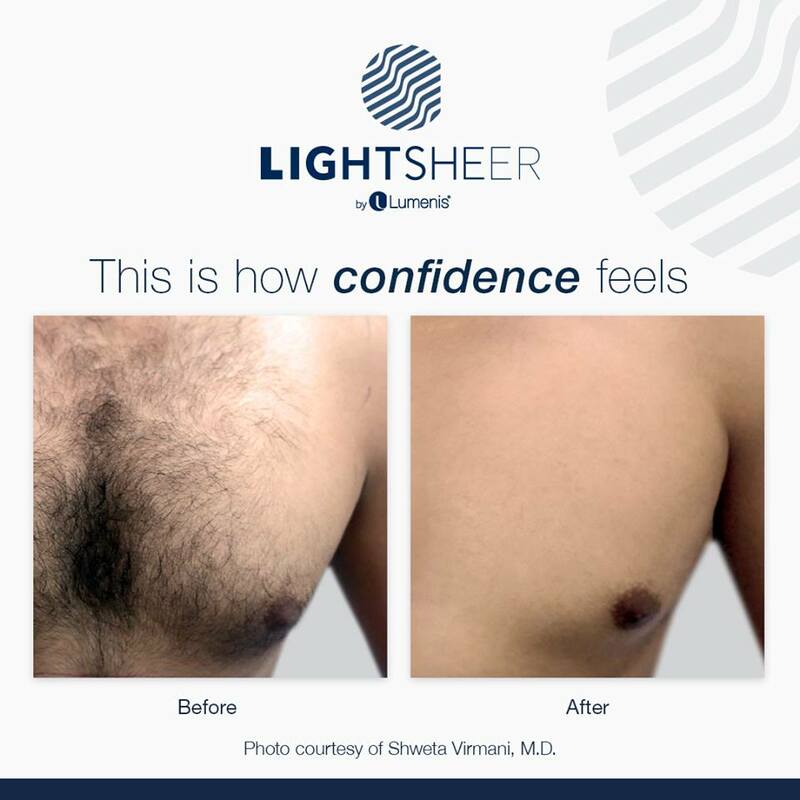 As many clients have already found out, laser hair removal for men doesn’t just improve aesthetics – it can help reduce a great amount of body hair-related aggravations that many men face. Necklines and beards are often treated to reduce irritation caused by shaving and to eliminate those upsetting ingrown hairs. As men get older, hair also seems to appear in more areas than before, including the backs of arms, shoulders, necks, ears, toes, fingers, and the nose. Hair might even appear thicker and darker. Whether you want to show off your hard-earned muscles, improve your cycling performance, or you simply got sick of your hairy back, don’t worry – you are not alone! According to Braun’s survey, 62% of men manscape regularly! Men agreed that removing unwanted hair makes them feel cleaner, sexier, and has enhanced the appearance of their muscles. Laser hair removal is one of the most long-lasting solutions to unwanted hair. Though the results vary depending on your skin type and hair thickness, hair can be removed from almost every area of the body, offering permanent results in most cases. It’s one of the most effective and definitely one of the most permanent methods you can currently get on the market. Laser treatment is less painful than waxing or sugaring, as well as more comfortable than shaving, though some people report mild discomfort. At 5th Avenue Medical Clinic, we provide complete laser hair removal services for men in South London, provided by experienced specialists who understand the unique needs that men have. Whether you need to get rid of unwanted hair on your back, arms, shoulders, bikini area, scrotum or buttocks, we are here to help make you feel the most comfortable you can be in every situation. 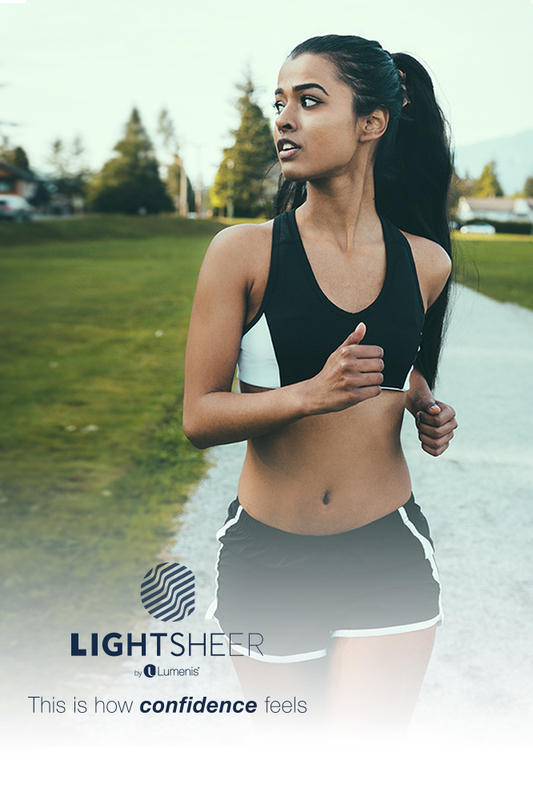 Treatment with Light Sheer Desire is fast, comfortable, and effective, which also makes Light Sheer one of the most reliable solutions on the market. 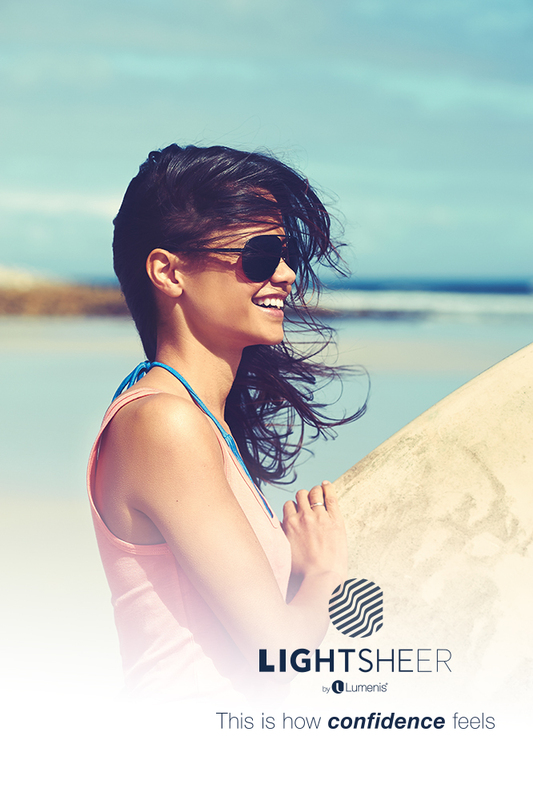 The Lumenis LightSheer is a diode laser, considered the gold standard in laser hair removal by many practitioners, offering excellent results for many different skin types. If you feel that your quality of life could be improved if you could permanently remove unwanted hair, please call 5th Avenue Medical Clinic and make an appointment for a quick consultation now! Our therapist will discuss your expectations with you and explain what can be achieved through a set of 6-8 treatments. You will be asked a few general health questions and we will assess your skin type and walk you through the whole process, so that you can fully understand what the treatment will look like and what you have to keep in mind before, during, and after the treatment. Trying to understand your Fitzpatrick skin typing is a very important step before starting any laser hair removal. It lets us know which setting to use on our machine for better results and greater comfort. We want your visit to be not only effective, but pleasant as well. A Free Patch test will be performed to make sure that you are responding well to the treatment and you will be asked to return after a few weeks to see how your skin has reacted and, if everything is fine, you’ll receive your first laser hair removal treatment right away! Don’t have laser treatment if you have recently had a tan as the lasers can sometimes target the pigment cells in the skin. For the best results, don’t skip appointments during the course of treatment. Avoid hot showers, baths, chlorine, scented body products, and tight clothing for 24 hours after the treatment to reduce the chance of irritation. Most patients can expect a significant reduction of 80% or better with the remaining body hair becoming finer and softer after multiple rounds of treatment. The patient is required to arrive with the area freshly shaven and the treatment time can be anywhere from 10 minutes to over an 1 hour depending on the size of the area. As the hair follicle grows in stages, body hair reduction requires regular treatments spaced approximately 6 – 8 weeks apart. The success rate of laser hair reduction depends largely on a patient’s skin and hair type. Please call our 5th Avenue Medical Clinic for appointment or pop-in for free, non-obligation consultation and patch test, to check if body laser hair removal is for you!